The origin of this mound on a crater floor was not clear from prior image coverage, so we targeted HiRISE to take a closer look. With study of the HiRISE image, the geologic history may or may not be clarified, but it is certainly a striking image. 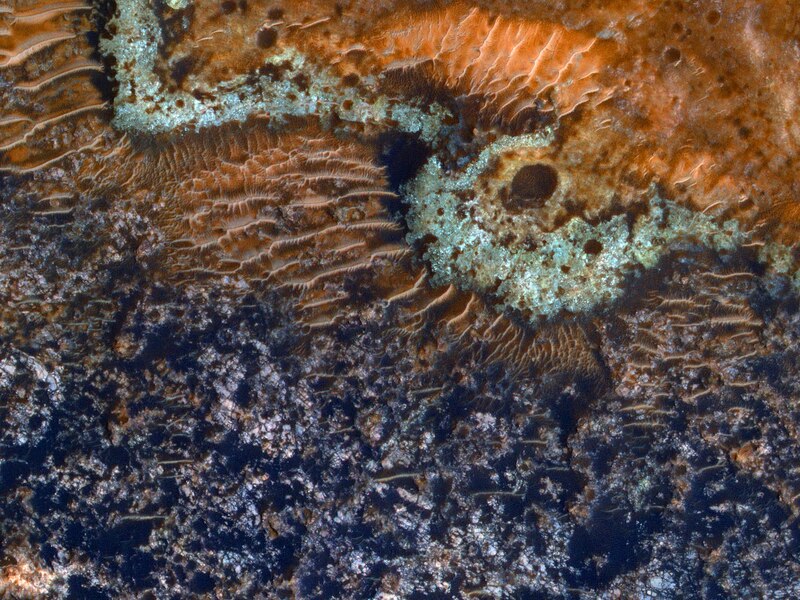 The dark sand collected in low areas creates a high contrast with the lighter-toned bedrock, and there are caterpillar-like wind-blown dunes or ripples crawling over the surface. 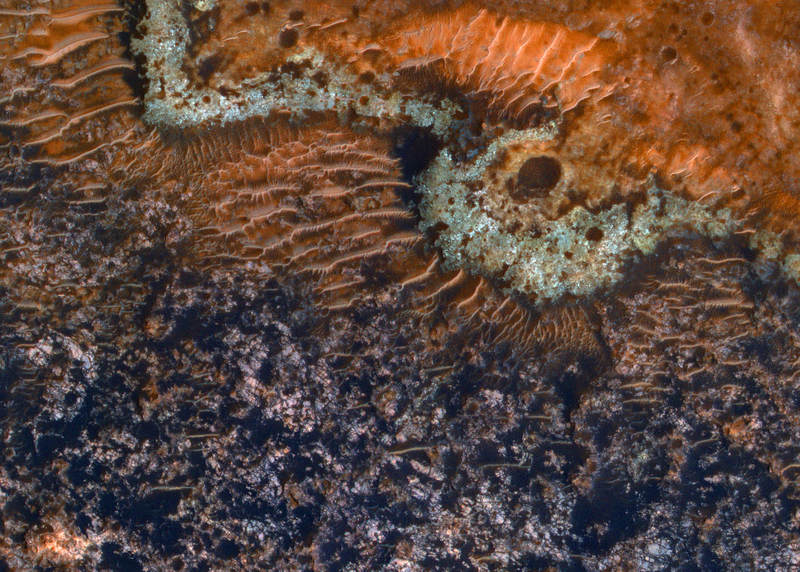 The subimage shows an enhanced-color view.